With the goal against Rayo Vallecano, Lionel Messi extended his lead to two goals at the top of the European Golden Shoe race. After a disappointing 1-0 defeat against Girona FC in the finals of the Supercopa de Catalunya, Barcelona returned back to the winning ways as they beat Rayo Vallecano 3-1 in their league game at the Camp Nou. Raul de Tomas gave Vallecano the lead in the 24th minute of the game, which was canceled out by Gerard Pique after just 14 minutes. Lionel Messi put the Blaugrana ahead in the game from the spot in the 51st minute before Luis Suarez sealed all three points for the Catalonian giants by finding the back of the net during the 82nd minute of the game. Barcelona extended their lead to eight at the top of the La Liga table and are now the favorites to lift the title, with just 11 games left to play in the season. 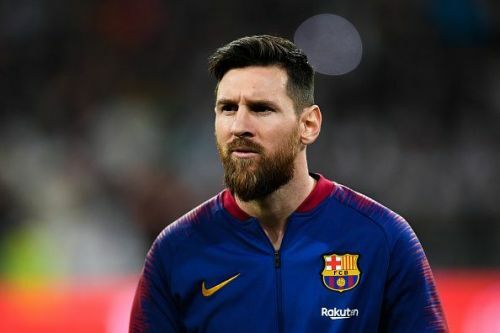 With a goal against Rayo Vallecano, Lionel Messi registered his 26th league goal of the season, extending his lead to two-goals over Kylian Mbappe(24 goals) in the race for the European Golden Shoe. These two are being chased by Cristiano Ronaldo and Fabio Quagliarella with 19 goals each. Sergio Aguero and Krzysztof Piatek follow close behind them with 18 league goals. The Argentine won the European Golden Shoe in the last two seasons and will be looking forward to completing his hat-trick this time around. Messi also holds the record of winning the accolade for the most number of times (five). Barcelona are scheduled to play Lyon FC in the Champions League next before facing Real Betis in the league on March 18.